ONRAD Radiologist Named Medical Director - ONRAD, Inc.
Riverside, CA September 20, 2011 – ONRAD, a U.S. based provider of radiology solutions, is pleased to announce that Dr. Jose Ospina has been hired as the Medical Director of the Radiology Departments at Bellflower Medical Center, Anaheim General Hospital and Newport Specialty Hospital. ONRAD currently provides on-site radiology and teleradiology service for Bellflower Medical Center, Anaheim General Hospital and Newport Specialty Hospital, all of which are part of Pacific Health Corporation. Dr. Ospina has become an important part of the medical team at each hospital. “Since his start in July of this year, Dr. Ospina has restored our credibility within the hospital,” said Dwight Jourdain, Radiology Manager with Pacific Health Corporation. Dr. Ospina received his medical degree from the University of California College of Medicine, Irvine. He completed his residency at Cedars-Sinai Medical Center in Los Angeles, CA. Dr. Ospina also completed a Fellowship in Neuroradiology at University of California Irvine Medical Center. Dr. Ospina is certified by the American Board of Radiology. Bellflower Medical Center, Anaheim General Hospital and Newport Specialty Hospital are part of Pacific Health Corporation. Pacific Health Corporation, established in 1984 and headquartered in Tustin, CA, is a privately held corporation that currently owns and operates four hospitals, all of them in Southern California.  ONRAD is a full service physician-owned radiology provider offering customized radiology services including teleradiology services and solutions, on-site radiology, subspecialty teleradiology interpretations, and quality assurance programs. As a partner, ONRAD helps its customers be more competitive in their local markets by complementing and expanding the radiology services already in place, or providing a comprehensive solution.